In the fourth in a series of posts on 2012 short story collections entered for The Story Prize, Rob Davidson, author of The Farther Shore (Bear Star Press), discusses obstacles he's encountered, writing quickly, writing slowly, and what triggers his ideas. 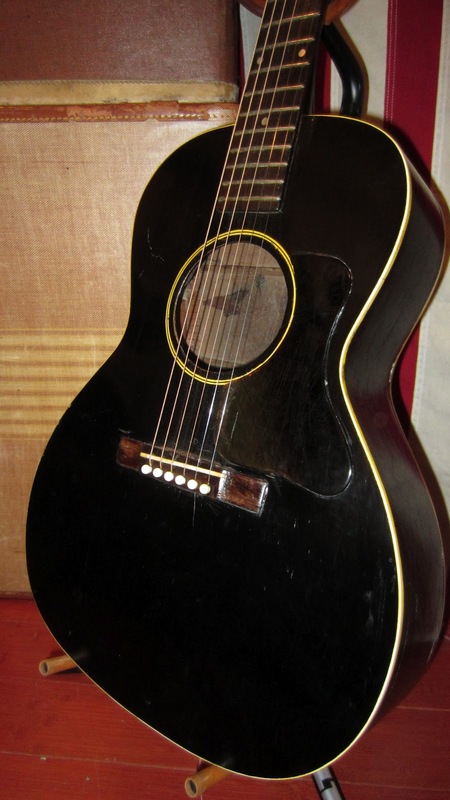 Frequent obstacles include fatigue, anxiety, self-doubt, pride verging on hubris, teaching, debt, exhaustion, my ongoing attempt to be a good husband and father, my 1939 Gibson L-00, ambition, lust, anger, occasional insobriety, a great new book by someone else, my obsession with rock music, and a general sense that life is filled with many wonderful things that don’t involve me isolating myself in my studio with the door shut. What have I done to overcome them? I’ll paraphrase Isak Dineson: A writer should work a little bit every day, without hope or despair. I wrote “The Student,” which is in my new book, The Farther Shore, very rapidly. The germ of it was told to me by a good friend, to whom something very similar happened (as a graduate student, he slept with an undergraduate who feared she’d become pregnant). Immediately after my friend told me his tale, I knew it would work as a short story. It seemed like a gift dropped in my lap. I asked him if I could use it, and he wished me the best. I wrote the core of the story very quickly, in just a week or so—light speed, for me. I tinkered with it for a while after that, but the final version stayed pretty true to that initial draft. I wrote several failed versions of “Criminals,” the long story that concludes The Farther Shore, before writing the version that is in the book. I began drafting the story in 2004 and worked fairly steadily on it for the next two years. Howard Junker accepted it at ZYZZYVA, then proceeded to give it a good, old-fashioned hard edit, cutting it by almost a third. After that first publication, I revised it, restoring much that Junker had cut, and sent it out to the Camber Press fiction award. To my delight, Ron Carlson selected it for the prize. I revised it a third (and final!) time for The Farther Shore—so there are essentially three different “finished” versions of this long story. Faulkner had something like four published versions of “Barn Burning,” and of course Raymond Carver was known to fiddle with his work after it had seen print, so I guess I’m not alone.